Dr Robert Waller is an author, teacher and academic, and a former opinion pollster. He is the co-editor of Politico’s Guide to the 2015 House of Commons. Dr Robert Waller is an author, teacher and academic, and a former opinion pollster. He has enjoyed three distinct but linked careers, which combine to help him to explain and elucidate elections in Britain. Robert comes originally from Buxton in the Peak District, and was educated at Oxford University. After being awarded a congratulatory first-class degree in History at his first Oxford college, Balliol, he finished a doctorate as a Prize Fellow by Examination at Magdalen College. 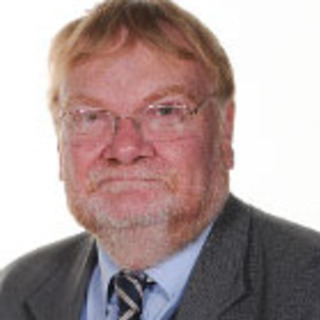 He was also Lecturer in Politics at Trinity and Lecturer in History at Wadham. Life is too short to stride along just one road, however, so in 1986 Robert accepted an offer to become Director of Social and Political Research at the Harris Research Centre, where he was chiefly responsible for Harris polls and research supplied to the media, political parties and the Prime Minister. Whatever the day job at the time, Robert has continued to write books on both history and politics, perhaps being best known for the eight editions of The Almanac of British Politics between 1983 and 2007. He also contributed chapters to the three books of historical and political counterfactuals edited by Duncan Brack and Iain Dale. In 1998, Robert returned to his greatest love – teaching – and since 2001 has been the Head of History and Politics at Greenacre School for Girls, Banstead.